Everyone likes saving a few dollars when possible. 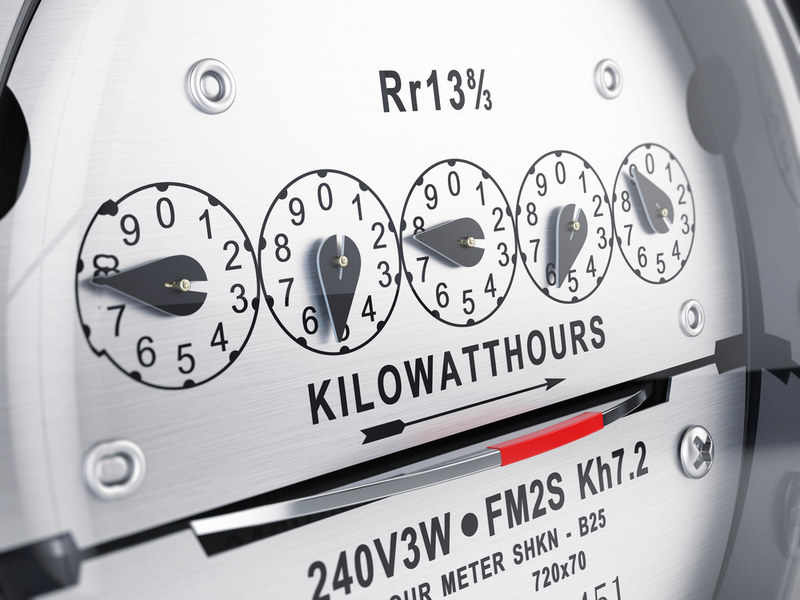 Fortunately, there are some easy tricks you can use to reduce your energy consumption and lower your utility bills. The ten simple tips below don’t require much time or effort and can help you save on your monthly utility bills in no time. Remember the old saying, a penny saved is a penny earned, and these ideas will save you more than just pennies, especially if your property is currently vacant and not generating rent. Think of any air leaking through the cracks of your doors and windows like money escaping. It’s easy to buy caulk and weather-stripping to seal cracks, and chances are you have some caulk left over from previous projects. Consumer Reports says sealing cracks can reduce your energy costs by 15%-30%! If you like to bake, you know how a hot oven in the heat of the day only makes the air conditioning work harder to keep the house at your desired temperature. The same can be said for clothes dryers and dishwashers. Try to use these at night when outside temps are cooler to give your AC system a break. Slow cookers, including Crock-Pots, use less energy and produce less heat than standard preheating ovens and stove tops. Slow cookers and recipes for them are enjoying quite a revival, likely due in part to their ability to cut energy costs. Michael Bluejay, aka Mr. Electricity, runs a website full of tips, including ways to save on electricity. According to him, using cold water (instead of hot) when washing clothes can save you $152 each year. Another way you can save in the laundry room is by switching from automatic drying to air drying. If you have the space for it, indoors or out, eliminating the need to operate your dryer will certainly cut down your bill. The air circulation that fans provide does a good job of cooling down a room, and compared to standard AC, fans are a much more cost-effective way to keep indoor temps down in the warmer months. Bluejay reports it can save $438 per year. You have probably heard this before, but unused electronics that are still plugged in continue to pull energy from the grid. Unplugging them will help, and using power strips makes it easy to shut off everything at once. Consumer Reports found that just putting your computer on standby can save you $25-$75 per year. According to Bluejay, turning off unused lights can save $274 per year. A single 100-watt light bulb running continuously costs $131 per year, and replacing ten 60-watt bulbs with compact fluorescents will save you $123 per year. Switch to energy efficient bulbs and switch off lights you aren’t using. If you can program your thermostat, go for it! If you don’t, make it a habit to adjust the thermostat when you leave the house. Also, close off rooms that no one is using. Air filters should be replaced monthly, as dirty filters restrict airflow, causing the AC system to overwork and use more energy. New Vistas Corporation’s property management professionals are here to ensure your property is fully leased, profitable and running smoothly. To see how we’ve become one of the top property management firms in the Northeast, visit our homepage today!